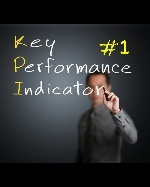 This is the first installment in a project management series that discusses key project performance indicators (KPPIs). These indicators are used like the gauges on a car to evaluate and measure a project’s performance level. The Project Management Institute has defined 10 knowledge areas that focus on the activities needed to manage a project. Program managers are always interested in finding out what is really happening on a project; and by using a combination of these indicators they are able to assess what areas may need additional support or what areas are at risk and need to be mitigated quickly. This series will pull from the knowledge areas of Project Integration, Scope, Time, Risk, Quality, Cost, Communication, Procurement, Stakeholder, and Human Resource Management. 1) What is impacted by the current state? · Has the project’s critical path been altered? · Are there other dependencies outside of this project that either have been or will be impacted by the current state? 2) What is the real reason behind the current state? Failure to progress according to plan is the most common symptom exhibited when something else is wrong. It is the initial warning sign and the first indication that management must dig deeper. Root cause analysis will include evaluating resource effectiveness, technical stability, and diving into the other controlling processes around issue, risk, scope and quality. The only way to identify the best corrective action is to ensure you have uncovered the real root cause. The next installment in this series will discuss the KPPI within the Project Integration knowledge area that focuses on governing & tracking issues; and discuss how this indicator can impact KPPI #1. Janet is Avout’s Delivery Services Partner who focuses on ensuring the overall effectiveness and quality of each engagement. She has over 20 years of project management experience in the IT industry, specializing in Oracle new technology implementations.